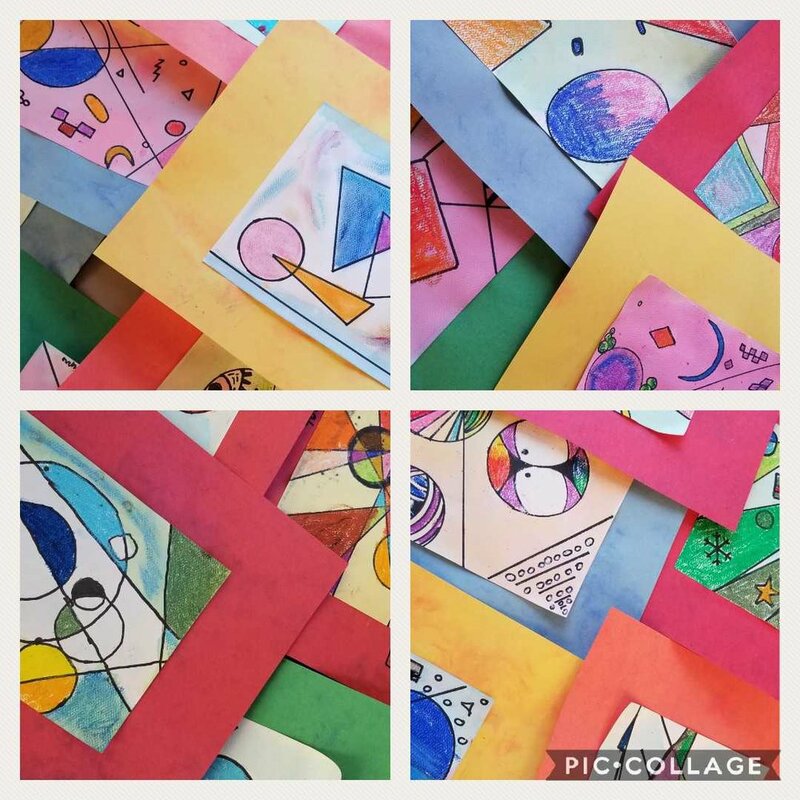 Cedar Park 8th graders embraced Art Lit yesterday, learning about Russian painter Wassily Kandinsky. Parent volunteers presented the lesson and then assisted the students in completing a Kandinsky-themed art piece. Examples of 8th grade art projects. Well done! The art lit team is still in need of volunteers to assist 6th & 7th grade students through this project. To find the correct time to assist with your child’s class, please ask your student when they have Humanities on Wednesdays. You can also check Parentvue to view your child’s schedule. Here is the bell schedule for Wednesdays. Please note: AN MVP PROFILE IS REQUIRED TO VOLUNTEER DURING SCHOOL HOURS. 6th Grade— Wed, 11/28. Times vary based on student schedule. 7th Grade–– Wed, 11/7. Times vary based on student schedule. CPMS 8th Graders listening to Kandinsky lesson. Captivated!